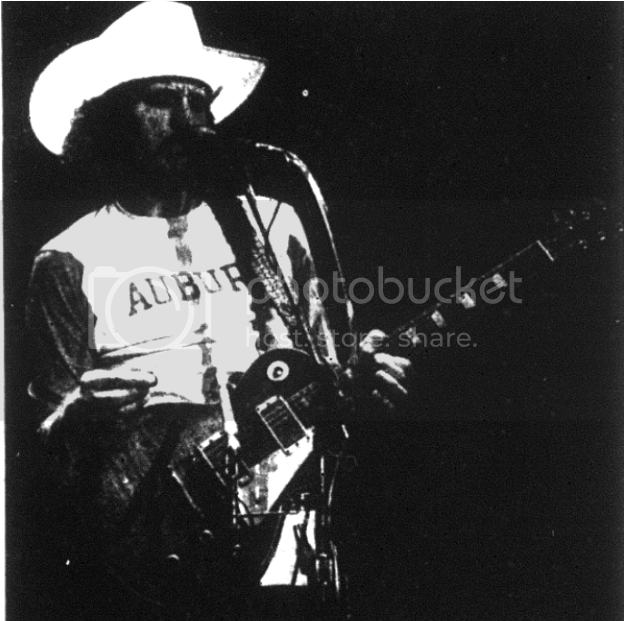 On February 1, 1980, The Eagles played Auburn as part of their “Long Run Tour.” They opened with “Hotel California.” And in what surely has to be the Tommy Joe Eagles of Rock Stars in Auburn Shirts (see Alabama in Auburn gear here, Willie Nelson here, Jimmy Buffett here, and of course Dr. Dre here), Joe Walsh, at some point in their not one (“Rocky Mountain Way”), not two (“Greeks Don’t Want No Freaks”), but three (“Best of My Love”) encore set in Beard-Eaves Memorial Coliseum, traded the tie-die map of the cosmos thing he was wearing for an Auburn baseball-stye tee, which the 12,000 strong crowd—the most since The Commodores played in ’78—probably ate up even more than when he put the cowboy hat on earlier. If you’d like to more rock stars in Auburn shirts, click here. Any photos of Stephen Stills wearing an Auburn football jersey during the Manassas concert at the AU Coliseum in 1972?